Once again First-Nations and some Anti-Hunting “outdoor exclusionists” are back at it again trying to erode away our hunting opportunity. If you want our Grizzly Bear population to be managed on science, rather than emotional, social arguments that will be detrimental to the bears you need to act now! The BC Wildlife Federation wishes to express their grave concerns regarding the Coastal Grizzly Bear Hunting proposals developed through Government to Government treaty negotiations. Should the proposals be adopted by the provincial government it will set many new precedence’s for wildlife management in BC. It will exceed the recognized constitutional rights for First Nations involvement in wildlife management. More importantly it will reduce defensible science base management of wildlife to socially based management which in turn is not defensible, and will lead to the erosion of resident hunting opportunity throughout the province. It has been established that the province has the legal obligation to provide First Nations with access to wildlife for food, social & ceremonial purposes. This has always been set out before the provisions of the Provincial Wildlife Allocation Policy were applied. Where are the constitutional provisions that require First Nations to have the right to delegate what resident harvest opportunities and regulations should be? It is our understanding that our needs as residents come after the constitutional needs of First Nations have been addressed. There is absolutely no infringement on First Nations needs in the opinion of our membership. Why is this being done with these proposals and who is truly being appeased? Under the present Government to Government negotiations, any input from residents is occurring after the fact. The provincial government is only talking to the various levels of governments including First Nations and influential lobbying groups. The BC Wildlife Federation must stress this is fundamentally wrong. The provincial government is responsible to represent the needs of residents of the province at these negotiations. There needs to be a clear vision by the province for the realities of impacts to the future of what is being negotiated and adopted. These decisions will not be strictly limited to the wildlife resource but to all natural resource sectors. Presently our members firmly believe that residents are not being truly consulted up front as these proposals come forward after the fact. They have been already negotiated and are contrary to stated existing government policy and legislation. Planning processes are occurring internally within government it leaves no opportunity to provide input even though residents have demonstrated a historic use of the respective area. How will consultation occur under the new Ministry of Natural Resources Operations? Will impacts to present government policy and legislation be respected in any negotiations? We question the negotiations of the Wildlife Staff regarding impacts to residents. Through Government to Government negotiations the Kwadcha First Nations had requested a road closure to prevent residents from using forestry roads through specific time periods for hunting in Region 7A the Omineca. It was Minister Abbott of MARR that stated that access would be provided with equality to residents of BC. This was contrary to the negotiated direction your staff was taking and after Minister Abbott’s statement the regulation change was not proceeded with. It must be recognized that the anti-hunting community is playing a significant role in these regulation proposals. The anti-hunting community has continuously attempted to shutdown grizzly bear hunting in BC. The Raincoast Conservation Foundation bought a guide outfitting tenure in Region 5 to retire the commercial grizzly bear quota. Unfortunately the provisions of the Wildlife Act, specifically non use of a territory, prevented this from occurring. It is strange that First Nations want to pursue commercial hunting interests for all other species if they obtain the commercial guide outfitting tenures along the coast. This should illustrate what the true goals of these regulation proposals are! 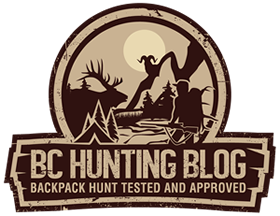 The BC Wildlife Federation believes it is important to highlight that resident hunters were removed from the table for the Central Coast and North Coast Land Resource Management Plans. Our needs and input were never clearly provided. As a result the anti-hunting community pursued the adoption of three grizzly bear management areas which contain the highest grizzly bear populations. This was contrary to developed government policy (in addition to the Grizzly Bear Scientific Committee recommendations), developed through stakeholder consultation along with the numerous conservancies created. All of this had already severely impacted resident hunter opportunities. Resident hunters have seen a continued erosion of hunting opportunities as the goal posts are continuously being changed after the next erosion is secured by anti-hunting interests. The fact is that the anti-hunting community is continuously promoting new direction once they are successful in obtaining a regulatory change. The requirement to retire the commercial quota is a need of the anti-hunting community to recognize their desired direction contrary to present government legislation. It has been an obstacle in the purchase of the Region 5 (Lenard Ellis Territory ) and in Region 6 (Guy Antilla Territory) before the other coastal commercial guide outfitting tenure purchases were even contemplated where the commercial quota for grizzly bears was not retired. The BC Wildlife Federation sees exactly the same process occurring with our exclusion in the development of the Horse Ranch Range Protective Area land use review. Resident hunters have been removed from providing input even though we use the area every year for hunting and fishing. Many resident hunters have never encountered either Kasa or Talthan First Nations nor members of CPAWS in their travels in the particular area. However the anti-hunting community was involved in the process. The ultimate goal of anti-hunting organizations is to eliminate grizzly bear hunting using alliances with First Nation groups contrary to what the science for grizzly bear management supports. A key step is to purchase the commercial guide outfitting tenures as it clearly erodes the opposition to end grizzly bear hunting. The barriers that are falling are requirements that the anti-hunting community needs to meet their ultimate goals. Once social wildlife management is adopted by government then the final steps by the anti- hunting community will be truly recognized! It is important to reflect on key initiatives undertaken by the Liberal government in regards to Grizzly Bear Management. First the present government undertook a peer review of grizzly bear management in BC. The findings through an established peer scientific review was clearly that grizzly bear management in BC was sound and defensible. This led to the reopening of the grizzly bear hunt in BC following the moratorium of 2000. From the peer review of Grizzly Bear management, the Grizzly Bear Harvest Management Strategy was developed and adopted. What has changed since these were adopted by the provincial government? We wish to remind the minister of the attempt to close grizzly bear hunting along the coast by the anti-hunting groups because of a poor salmon return. They claimed grizzly bears were starving to death even though there was no physical evidence to support this claim. Grizzly Bears are a predator, and proper and sound wildlife management involves predator management. Adoption of a regulation requiring all edible portions to be removed and taken to place of residence for consumption has serious flaws that must be recognized. · First there are incidences where a grizzly bear meat is not consumable due to various factors. This is not readily identifiable at the time of harvest. · Will the adoption of this regulation require the removable of edible portions of all predators? Throughout the province the populations of predators are increasing with impacts to wildlife, agricultural herds as well as human safety and this should be recognized. · Hunting is a sound and positive method of controlling wildlife populations when populations are at carrying capacity or there are limits to food resources. · This requirement will also provide a media frenzy once the first carcass can be photographed being left behind and portrayed in the media. What greater incentive to end the grizzly bear hunting opportunities on the coast. · Black Bear harvest was dramatically reduced when the requirements to remove the edible portions was adopted. Since then there also has been a substantial increase in black bear human conflicts. · In nature nothing goes to waste as a whole host of organisms and plants benefit from the decomposition of a carcass. 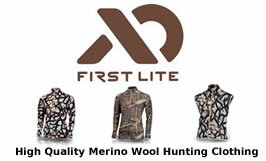 · Wildlife Act-Non Use of a Guide Outfitting Territory (the unused commercial quota is required to be reverted to the resident Annual Allowable Harvest). The Ministry will in fact take the territory back. The proposal to limit residents to 60% of the Annual Allowable Harvest for Grizzly Bears is seriously flawed. First residents were never given the proper opportunity to obtain their Annual Allowable Harvest by the province. The under harvest by resident hunters is very evident in the harvest data. How can a limitation be imposed that is not realistic and does not reflect Resident Hunter Priority? Residents were also impacted by the destruction of problem grizzly bears which reduced the available annual allowable harvest. Unfortunately there are never special circumstances in management of our natural resources as claimed by your staff. Each special case provides for a new distinct precedent used in other circumstances. The provincial government must truly recognize the consequences to the future of natural resource management if these proposals for Grizzly Bear Management on the coast are adopted! This decision will not be isolated to wildlife resource management but will be reflected in all natural resource management decisions. The precedence that will be set if adopted will truly erode what has been defensible by scientific peer review. There will be a regulatory nightmare created if social wildlife management is adopted. There are many other First Nations groups waiting to see what the outcome of these proposals will be. What will stop any First Nation group from setting arbitrary harvest limits for the various wildlife species? hy are First Nations groups involved in setting resident hunter opportunity? The BC Wildlife Federation firmly believes this is well beyond the requirement of government to accommodate! Many First Nations groups have commercial hunting interests that will use social management for their benefit even there is a direct conflict of interest. Residents are openly becoming dissatisfied with the Government to Government process as they feel that the province is not adequately defending and recognizing their rights. Challenges to recognize resident rights are being openly discussed. Residents must be part of the process at the beginning and not after the fact. These proposals are not constitutional rights nor infringements on First Nation groups and the BC Wildlife Federation fully expects the provincial government to recognize that. The true goal is to simply end grizzly bear hunting which has been defensible by science to date. This is where it starts my friends,and if you don’t think it will eventually be upland game birds then wake up! I for one will be joining the BCWF when I get home,and I don’t even hunt Grizzly Bear. Thanks for your comments. It’s a very slippery slope indeed. In addition to joining the BCWF consider writing to your local MLA and also the Minister of Environment. 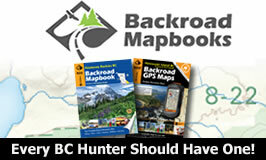 http://www.huntingbc.ca is another good place to stay up-to-date for hunting issues around BC.